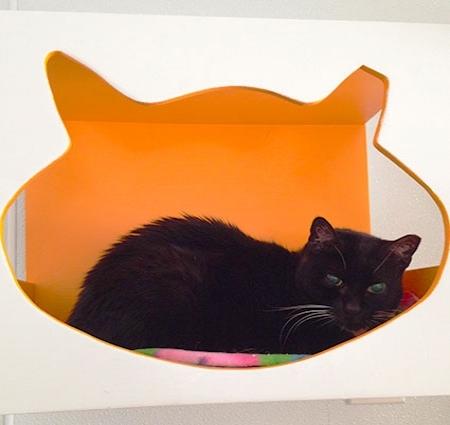 Carly was one of our senior girls who came to us from the Austin Animal Center. She was brought in after being hit by a car. She was deemed blind and fractious by the staff so she came to live here. Within a few days at the sanctuary, she calmed down and started making biscuits anytime someone picked her up. She was treated for a broken jaw and had several broken teeth removed. Her eyesight was affected but she retained enough vision to be able to get around just fine. 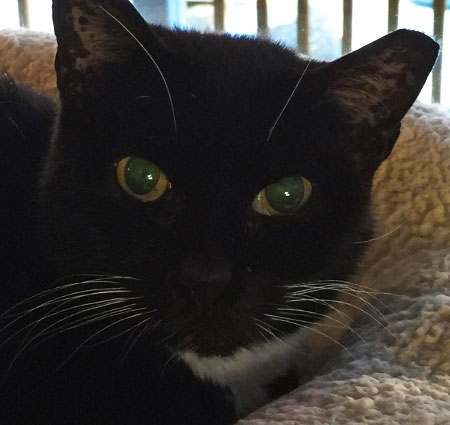 Carly was a happy girl who loved watching the squirrels through the window while lounging on her heated pad.